Mike Bibby, a former Birlingham resident, was an artist of some standing. He was an extrovert and at over six feet seven tall he was a most imposing individual in every way and seldom seen without his signature colourful bow-tie or silk cravat and bright braces. He was a prolific artist and specialised in landscapes one of which was especially commissioned for Birlingham for the Millennium. 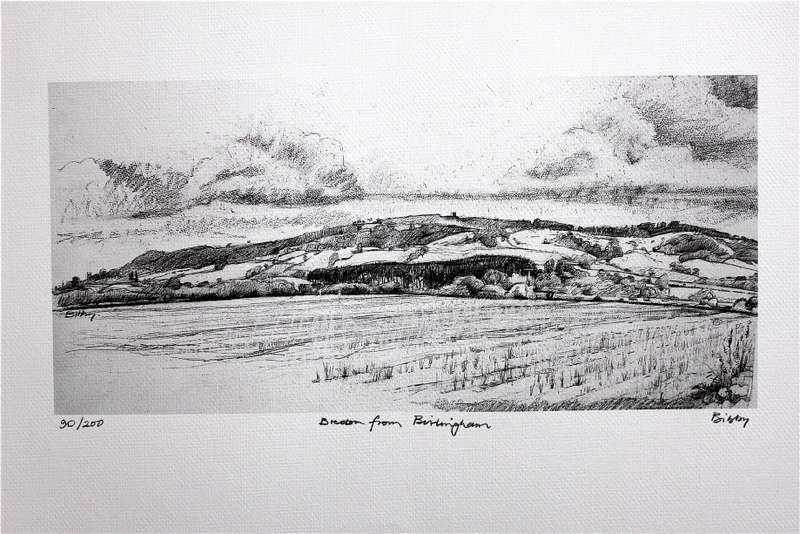 Mike produced a drawing of Bredon Hill for Birlingham Village Hall, where it is now displayed for everyone to see on the Village Map. Mike sadly died following a protracted period of ill health in February 2015, he is greatly missed. One of the limited edition pencil print of Bredon Hill by Mike Bibby can be yours for £15 (ONO) plus postage and packing. Each print is individually signed and numbered by Mike.